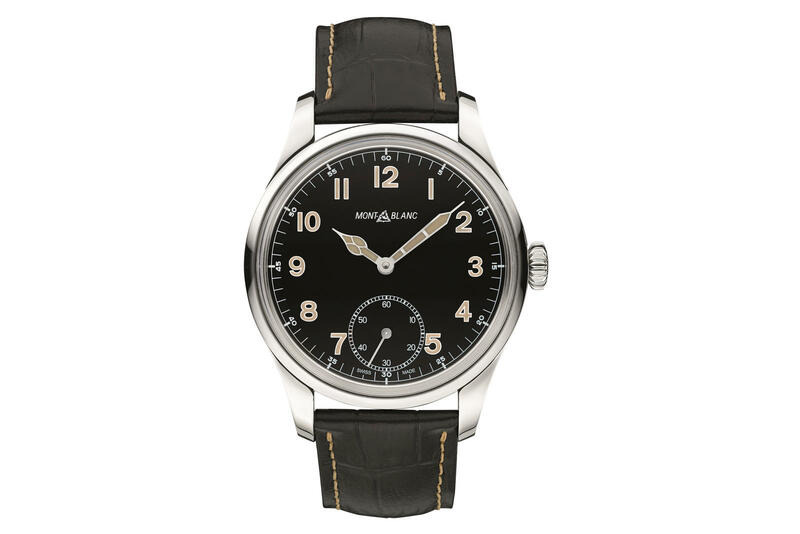 Today, Montblanc debuted a new watch collection inspired by 1930s pilot watches. 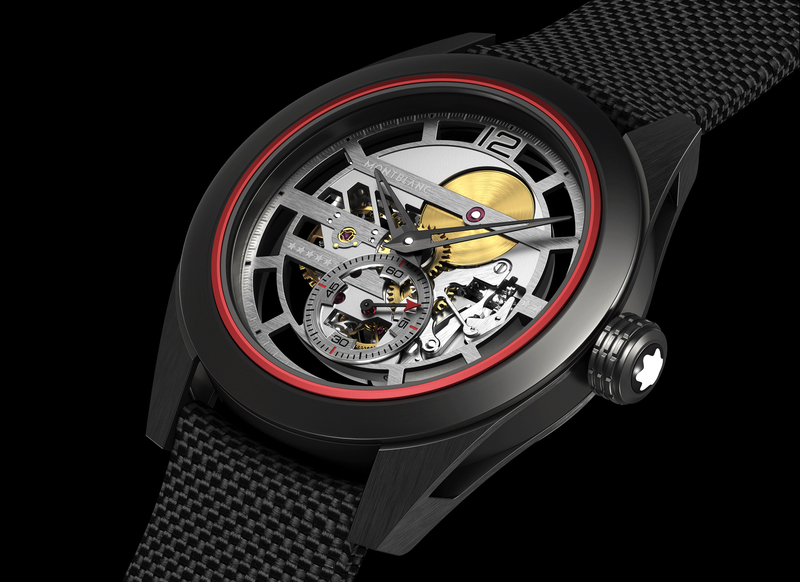 The 1858 Small Second Limited Edition, which comes in a 44 mm diameter by 10.95 mm thick stainless steel case, is the entry-level timepiece in the new collection. A large diameter (37.2 mm) hand-wound movement reminiscent of pocket watches from the same time period, powers the watch and is visible through the sapphire caseback. 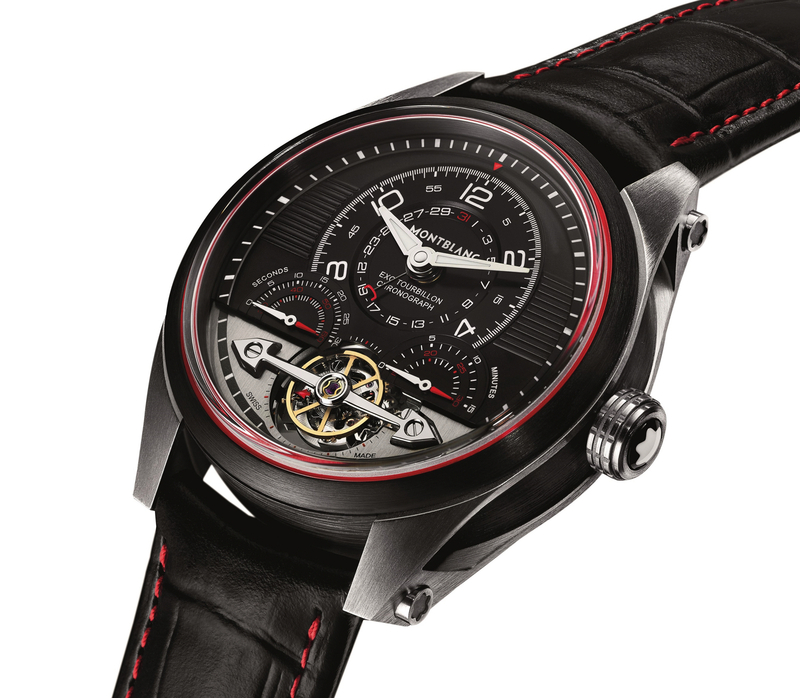 The movement beats at 3Hz (21,600 vph), has 17 jewels, and a power reserve of 46-hours. 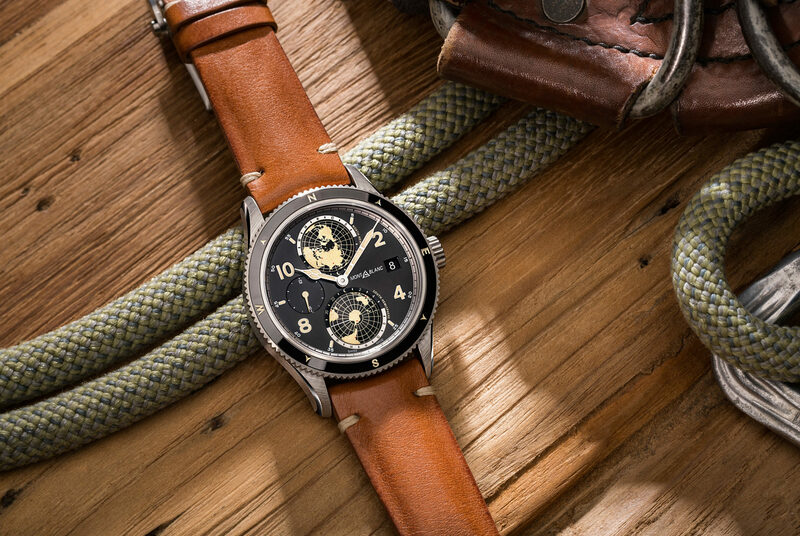 The dial is black with large printed Arabic hour markers, along with large rhodium-plated poire squelette hour and minute hands – all coated with an aged luminescent material. A small seconds display is located at 6 o’clock, where notably, the Arabic numeral has been omitted to fit subdial. The historical Montblanc emblem is printed in white at 12 o’clock.